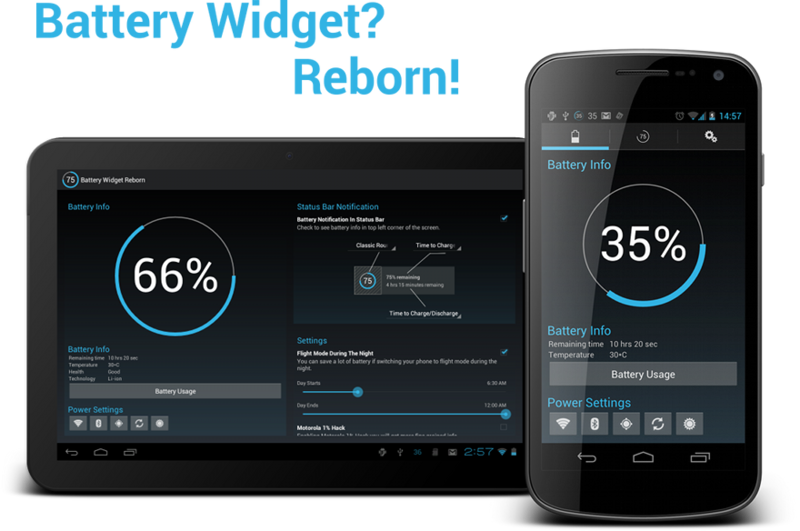 App Review: Battery Widget? Reborn! During my daily stumbling through the internets I came across this little peach of an App and just had to share it with you all! 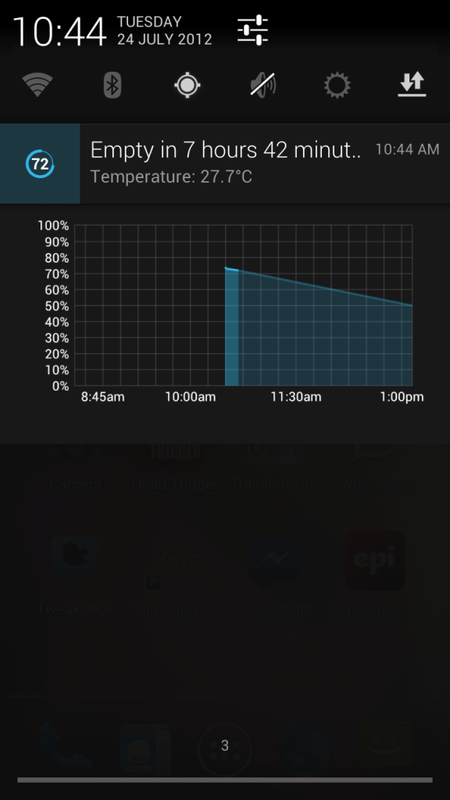 It is call Battery Widget? Reborn! and has been created by developer Tomas Hubalek. What makes this app so special? Find out after the jump! Battery Widget? Reborn! Â is a battery monitoring application that shows you information about your devices' battery usage on your phone. It puts a little icon and info in your notification bar and has a nice little app side that shows you graphs on usage, temperature and power settings where you can toggle things like WiFi and Bluetooth. It can also set a time at night for your phone to automatically go into airplane mode to conserve even more of your battery power whilst sleeping and is all wrapped up in a gorgeous HoloÂ theme. The app also comes with widgets that are also Holo themed and can be resized on 4.0 and 4.1 to suit your screen real estate. Even though this app has the tag "Beta" on it, Battery Widget? Reborn! is completely solid and has not failed on me once. Its design is really crisp and clear, with everything clearly laid out and a breeze to navigate around. The best part of the app (IMO) is on 4.1 it supports expandable notifications and is one of the first apps I have seen to do this! It looks absolutely gorgeous as you can see below. This app has now replaced my stock battery notification (not permanently of course, but that would be amazing if possible. I have just hidden the system one) and I would recommend this as a download for everyone, especially if you are on Jelly Bean! The app is currently in time-limited beta but I will definitely be paying for this should it become a paid app! Grab the app below and let us know what you think!